Winter is coming, and that means it’s time to upgrade your interior lighting. Nothing quite says ‘welcome home’ like a stunning ceiling light that radiates warmth. 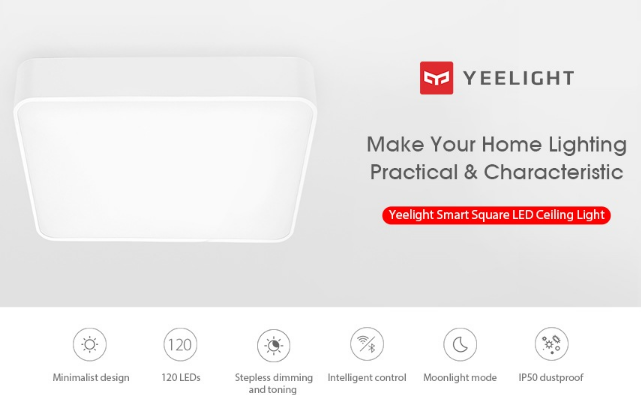 With lighting becoming smarter than ever, take a closer look at the stylish Yeelight smart square LED ceiling light to transform any room in your home with. 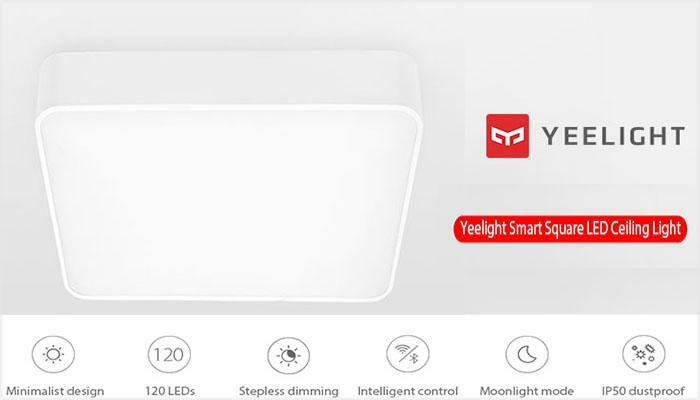 First,let’s enjoy a video display of Yeelight smart square LED ceiling light by GearBest. Sleek and minimalist, the Yeelight smart square LED ceiling light is undeniably a modern lighting solution designed to effortlessly blend in to any home. Unlike standard lights, the lighting is fully adjustable stepless dimming to offer color temperatures from 2700K to 6500K for soothing, luxurious lighting. This versatility is made possible with 120 separate LED lights for the most comfortable and satisfying reading-grade lighting that easily fills rooms from 40-60 square meters in size. This allows the Yeelight to really shine, literally. The distinctive ceiling light is perfect to dress up any room, providing a seamless blend of style and convenience. 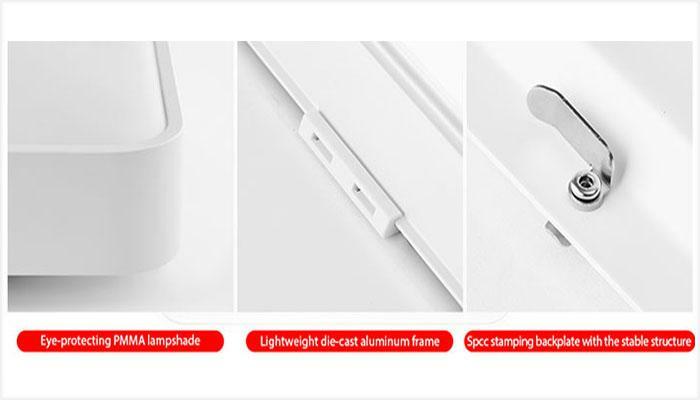 With a special PMMA lampshade and high-quality die-cast aluminum frame, the SPCC backplate is designed to provide superior heat dissipation for a longer product life. 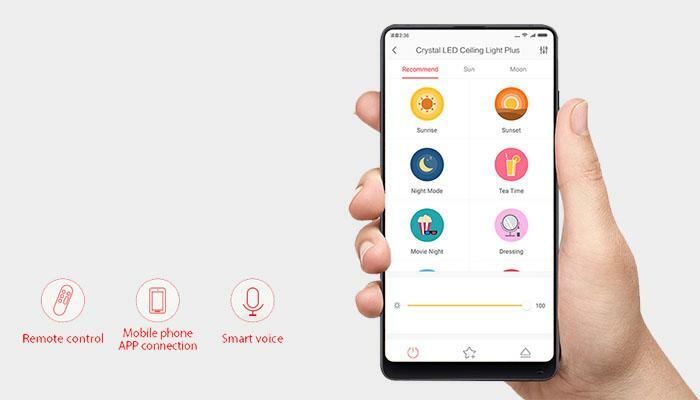 The versatile Yeelight Ceiling Light can be controlled using a proprietary ‘Mijia’ app, simply connect via Bluetooth or WiFi 2.4GHz for effortless control. Intelligent voice control is also possible, thanks to compatibility with Amazon Alexa and Google Home. For maximum efficiency, a special low-power moonlight mode is available with a minimum brightness of 1-120 lumens for the most comfortable night times. Versatile, practical and convenient, this feature-packed ceiling light combines great features and design to deliver the ambience you need at the brightness and color you want. A fantastic lighting solution with multiple control options, personalize each room to transform your mood. It’s perfect for a range of rooms, including bedrooms, study rooms, dorms, dining rooms, hostels, and much more. 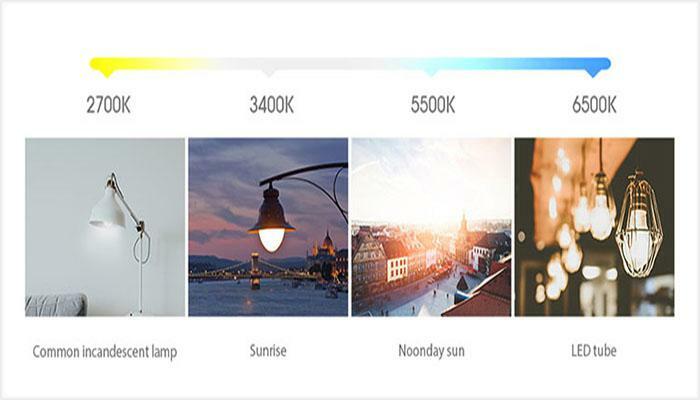 For style that shines from above, light up your world today in style with this stunning light from GearBest.